Burgundy remains the bellwether for fine wine, but the region can be confusing and confounding to all but the most committed (and well funded) wine geek. 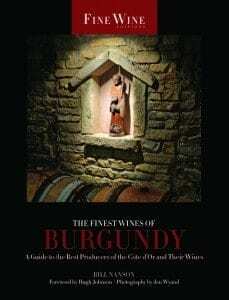 Enter independent critic Bill Nanson, publisher of The Burgundy Report, to provide an accessible overview as well as perceptive profiles of the 90 producers worth watching and the wines worth seeking. 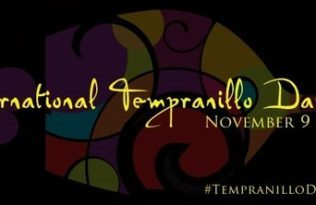 It’s a north-to-south trek through the wine world’s most hallowed ground in search of not just the most exceptional wines but also the interesting and individual. 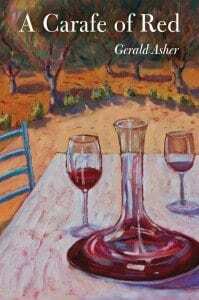 Esteemed wine essayist Gerald Asher’s previous book, A Vineyard in My Glass, explored the origins and geographic context of some of the world’s leading wine regions and their reflection in wines from each place. In A Carafe of Red Asher turns his attention in to the many pleasures that wine provides and to the personal and cultural connections that can follow from the first sip and swallow. After working in the wine trade, Asher realized “the real significance of wine as the nexus of just about everything.” The essays in this collection, written while Asher was wine editor of Gourmet, shed light on an aspect of wine that will deepen your understanding and appreciation and show how enjoyment of wine also depends on what you bring to it. 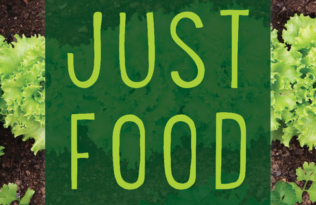 Also, Gerald will be holding an event Mrs. Dalloway’s in Berkeley on February 16, Omnivore in San Francisco on February 29th, and the Napa Valley Wine Library’s Books on Wine event March 22 in St. Helena. Wine lovers suffer a dearth of in-depth and up-to-date information in English about the diverse and distinctive wines of Italy. 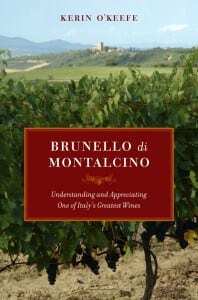 Kerin O’Keefe, an American wine writer based in Switzerland (the better for making frequent forays to Italy’s wine regions) has compiled the first comprehensive guide to Brunello and the other wines of Tuscany’s Montalcino region. O’Keefe drills down to make sense of the soil types, topography, and microclimates and organizes the region into a series of subzones so that connoisseurs and curious readers can more easily understand the bold wines of Brunello differ in flavor and style. She also delves into the recent blending scandal and shows how producers of Brunello have emerged from the harsh spotlight recommitted to making exceptional wine from this singular landscape. For those who never managed to read all 900-plus pages of Thomas Pinney’s IACP-award winning magnum opus A History of Wine in America, Professor Pinney returns with a more approachable introduction to the fascinating story of how the growing, selling, and making of wine became a nationwide industry. In The Makers of American Wine, Pinney offers engaging accounts of a dozen individuals whose contributions made possible the emergence of an American wine industry and wine culture. After two centuries of failure to grow wine grapes commercially by early colonists and forgotten farmers, the people profiled here overcame adversity and persevered. A toast to them! 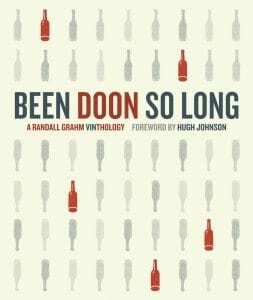 Touted as the Georges Duboeuf Wine Book of the Year for 2010 and recipient of the James Beard Foundation award for best beverage book, Been Doon So Long is back in paperback! Irreverant and visionary Bonny Doon winemaker Randall Grahm’s sui generis collection of parodies, poems, polemics, essays, song lyrics, and an ungodly number of insightful footnotes also features original illustrations by artist Alex Gross, a comic strip by Ed Piskor, and a fine collection of memorable Bonny Doon wine labels. 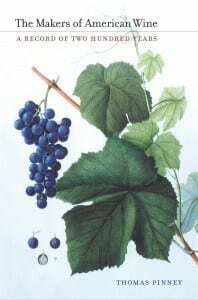 Don’t miss the glossary of viticultural terms and Yiddish phrases. Second only to California in American wine production, Washington state is fortunate to harbor a critic and chronicler as skilled as Paul Gregutt, recently named one of the 100 most influential people in the U.S. wine industry. 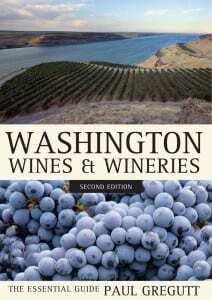 Gregutt’s updated and expanded 2010 edition of his essential guide is now more lightweight and portable, perfect for road trips to Walla Walla, through the Columbia Gorge, or just to your favorite wine merchant.